Are you sure you want this on your refrigerator? 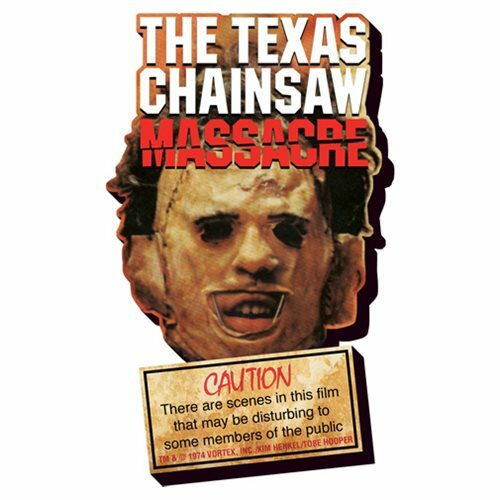 This frightening Texas Chainsaw Massacre Head Funky Chunky Magnet bears the words "Caution - There are scenes in this film that may be disturbing to some members of the public." This isn't your run-of-the-mill magnet. It's wooden, it's laser die-cut, and it's chunky! Ages 17 and up.